The Rebel Sweetheart. 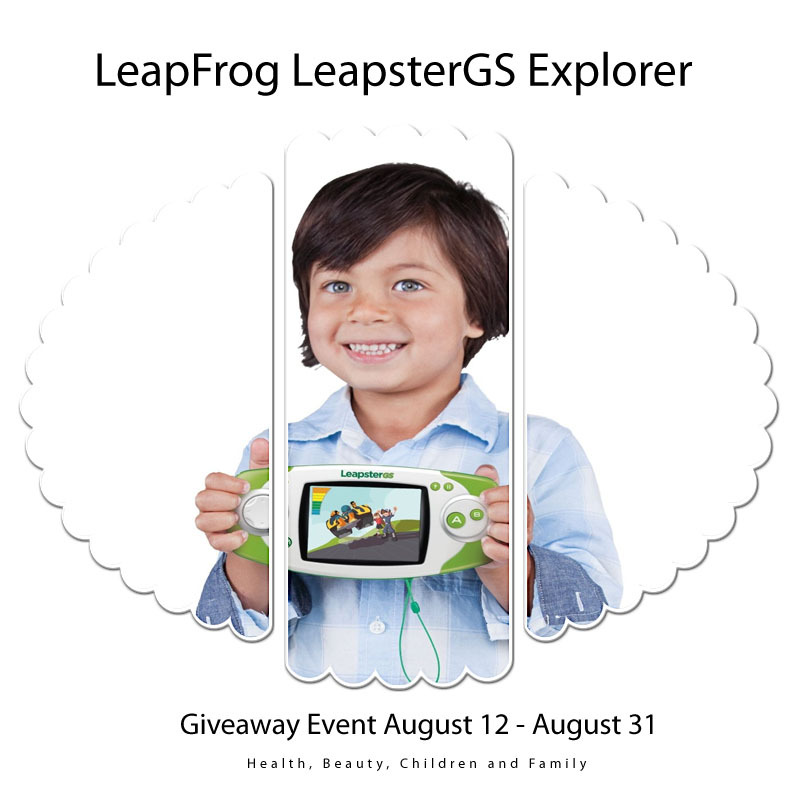 : Join | LeapsterGS Explorer Giveaway! Posting in behalf of Health, Beauty, Children and Family. School is about to start, and once again, it's time to learn new things. Learning doesn't have to be boring and in many ways, it can be a lot of fun. When you combine technology with learning, you are sure to find kids that love that combination. The LeapFrog LeapsterGS Explorer is a perfect gaming system that delivers high-quality gaming and fast-paced action but in a kid tough design. It also can snap pictures and videos with its built in camera and recording holding up to 2 GB with it's memory. It also has a new motion sensor and kids ages 4 to 9 can explore a library of more than 300 LeapFrog downloadable appls and games. Giveaway is open worldwide but for those outside the US, they will receive a $70 Amazon gift card (any winner can choose between the two). *Disclaimer: The Rebel Sweetheart is not responsible for prize fulfillment. Health, Beauty, Children and Family is the sponsor of this giveaway and the opinions expressed in this giveaway are theirs.